Nearly 70 percent of visitors to the Adirondacks come here during the WARM weather? It’s true. So what’s that mean for Whiteface Mountain? Yes, some folks remember that Whiteface Mountain hosted the alpine events for the 1980 Olympic Winter Games. And yes, today’s avid skiers and riders know that Whiteface is THE place to experience the greatest vertical drop in the east, located in a pristine natural environment, unmarred by those view-ruining slope-side condominium developments and other commercial stuff. But winter is just one out of four seasons in the Adirondacks. Add in the fact that seasonal residents and most travelers are here during summer, and the fact that climate change is making the warmer season longer, and many ski resorts are upping their summertime game to expand their non-winter offerings. It’s plain old good business practice, and Whiteface has been ahead of this curve for years. The 5th highest peak in the Adirondacks is an amazing, multi-faceted summertime destination. I like to think of the mountain as a big circle viewed from directly above, divided into a couple of uneven pie slices with the center being the summit. 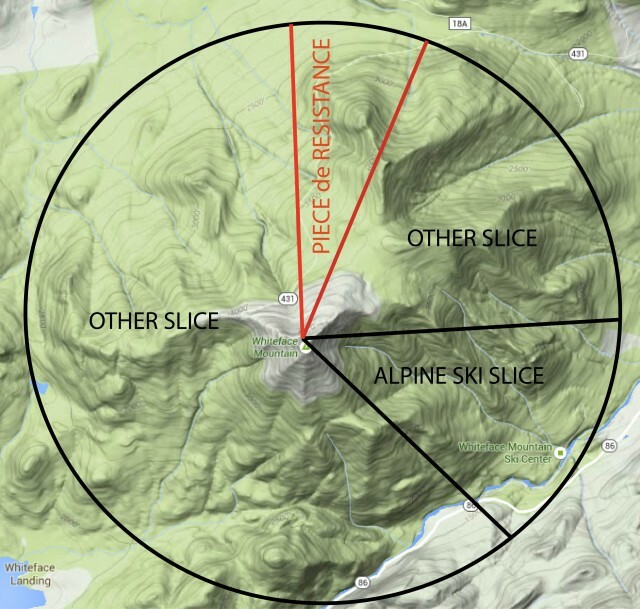 Of course, there’s the alpine ski slice. In winter, that’s the typical trail system for skiing and riding. In summer, though, it’s an action-packed place of a different kind! 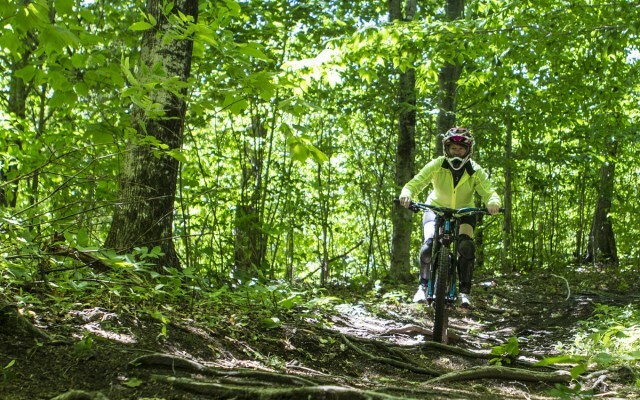 Whiteface Mountain Bike Park - The alpine ski hills offer a system of trails specifically for downhill mountain biking. These trails are lift- or shuttle-accessed and range from daredevil expert to moderate to cross-country cruisers. You can rent bikes and gear at the base lodge. I just tried downhill mountain biking myself - read all about it! 4 x 4 Alpine Expedition - These are one- or two-hour ranger rides for up to 5 people. You’ll go on a “behind the scenes” look at mountain operations with a guide via a vehicle that can go almost anywhere! Don’t worry, they’ll tailor the ride to what the passengers can handle, and you’ll get incredible photos from unique perspectives on the mountain. Cloudsplitter Gondola Ride - an amazing scenic ride from the base lodge to the top of Little Whiteface. Have a picnic at the top and take in the view of Lake Placid from the observation deck. You COULD hike down from there, or just hop back on the gondola to check out all of those views again on the way back to the lodge. Yoga on the mountain - On Fridays, add a little meditation to the gondola ride and join a 1-hour class at the top of Little Whiteface. What a place to breathe! Disc Golf - Have you ever tried this? Meander around some of the lower trails on the mountain while aiming for the lowest number of throws to get the frisbee into the “holes.” Just like regular golf, but without all those clubs to tote around. Nature Trek to Stag Brook Falls - Guided 90-minute hikes are led by an experienced mountain staff member along the West Branch of the Ausable River and down the scenic Stag Brook Falls trail. Learn about the flora and any fauna you see along the way! Adventure Zone - You can’t miss this when you arrive at the mountain! It’s characterized by the big yellow Air Bag Jump, for those who are up for a 30-foot free-fall into a pillow of air. 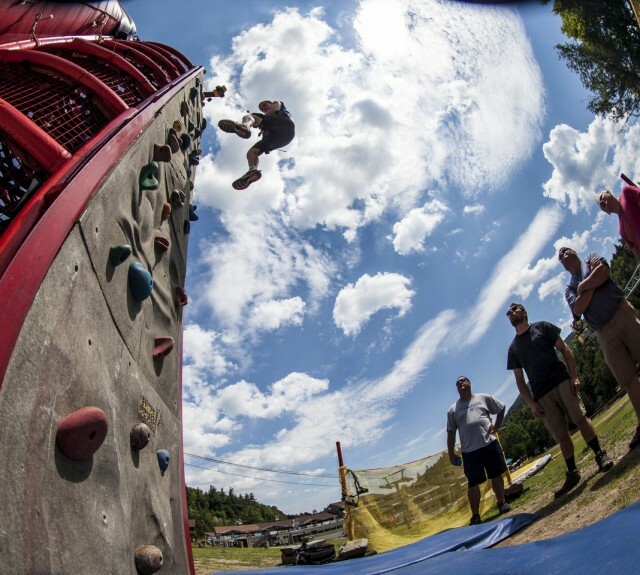 The adventure zone is a huge recreational area for kids of all ages and includes a climbing wall and slide, bungee assisted freestyle trampolines, slackline park, and a bunch of other fun. Hungry? Whenever the gondola is running, the J. Lohr Vineyards & Wines Cafe is running, too. Looking down at the mountain from above, the other slice of the pie includes a variety of experiences, too. Poor Man’s Downhill - This is a beginner’s downhill mountain biking run with an inexpensive town-operated shuttle to the top that runs every weekend in summer. Stop at Leepoff Cycles or the Whiteface Visitors Bureau for trail and shuttle information. As one of the 46ers, Whiteface is popular for regular-old hiking, too. One can access the trail to the top via Connery Pond off route 86 approximately 6 miles south of the entrance to the Whiteface Mountain Ski Area. This is a 6-mile hike one-way to the summit. OR, one can hike 3.9 miles one way to the top from the Atmospheric Science Research Center just off Route 431 (Whiteface Mountain Road). The hike ends at the summit, where you’ll meet fresh-looking folks who just DROVE there via the most amazing highway ever. The piece de resistance, if you will. Take advantage of the 12 million dollars’-worth of smoooooth resurfaced and rehabilitated highway that was recently finished courtesy of New York State. The Highway was dedicated to the Veterans of World War I by New York Governor Franklin D. Roosevelt. Drive, bike, or motorcycle up 8 miles of the most scenic piece of road ever. 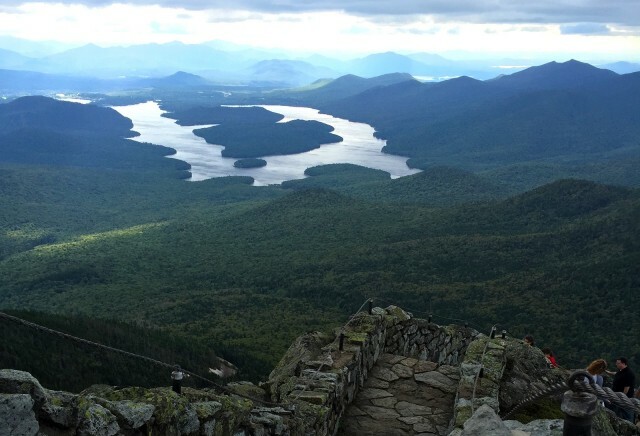 It’s been open since 1935, but this summer marks the first year since significant work was completed to maintain this historic, handicapped-accessible route to the top of an Adirondack High Peak. Once you arrive at the top of the highway, you can either take an elevator or walk a stone stairway to the summit, where you’ll also find the Castle Cafe for some terrific food, including, I hear, barbecue on the weekends! The climate will change, and winter will be here soon enough, but Whiteface Mountain is a veritable circle of fun all summer long! 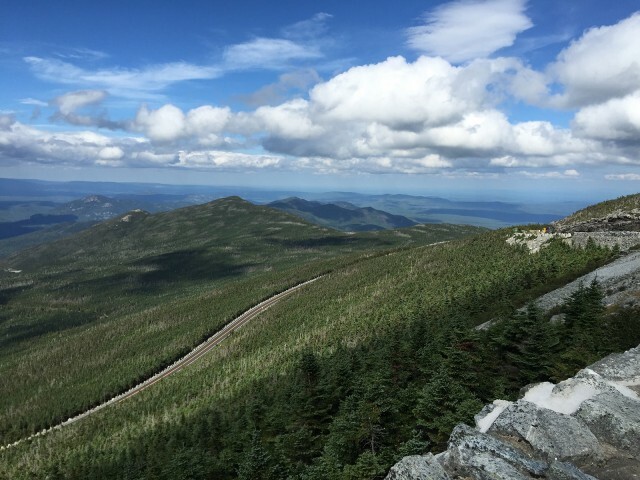 INSIDER TIP: Hiking to the top is free, but as Whiteface Mountain General Manager Aaron Kellett says, the “best bang for your buck” is to purchase a Olympic Sites Passport for discounts and access to all of these great experiences. Book your stay in Wilmington or Jay, and we’ll see you on the summer slopes! - Kim Rielly is the director of communications for the Regional Office of Sustainable Tourism.